Timing is all – in politics and stand-up comedy. In the same week that the UK government scrambled to repair the political damage caused by its harsh treatment of some Caribbean migrants, it announced a new agreement on the temporary immigration of nurses from the Caribbean. 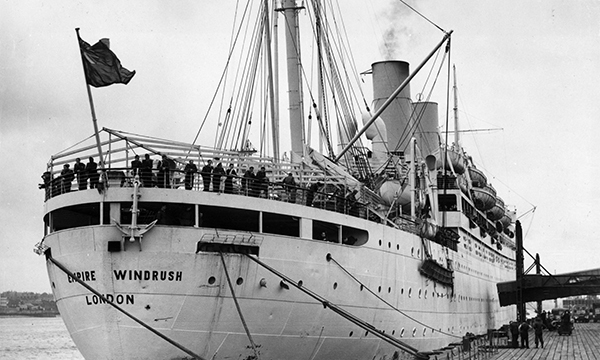 The Windrush scandal exposed an aggressive so-called ‘hostile environment’ approach by the Home Office towards some Caribbean migrants, despite them having been resident in the UK for 50 years or more. Some are facing desperate problems trying to obtain citizens’ rights. The scandal broke in the same week that Commonwealth countries, including those from the Caribbean, met for a conference in London. It was a PR disaster for a government desperate to build post-Brexit trade ties, with home secretary Amber Rudd apologising and prime minister Theresa May promising compensation. With impeccable timing, the government chose the same week to announce a new deal for Jamaican nurses to undertake work placements in the UK of up to three years. They will then return to the Jamaican healthcare system. The government press release spun this as an example of the ‘government’s commitment to forging new international relationships in preparation for the UK to leave the European Union’. The Windrush generation of Caribbean immigrants in the 1950s included many nurses, recruited to fill NHS shortages. Some experienced racism and discrimination when they arrived, and many were held in career-limiting enrolled nurse jobs. Even so, they provided a strong and stable backbone to NHS nursing services in many inner city urban areas. Many of these nurses have retired, but in the face of breathtaking double standards from the government, they could be forgiven if they were to advise a new generation of potential Caribbean temporary migrant nurses to approach the UK with extreme caution. Timing is all in politics. This is another Brexit-enhanced Westminster farce. Sadly, it is more tragic than comic.